August 2013 - New York - Mezco's award-winning design team journeyed deep into the unexplored depths of the Amazon jungle searching for fossils... instead they discovered The Creature! Mezco Toyz brings to life The Creature, from Universal's sci-fi, horror gem, The Creature From The Black Lagoon. 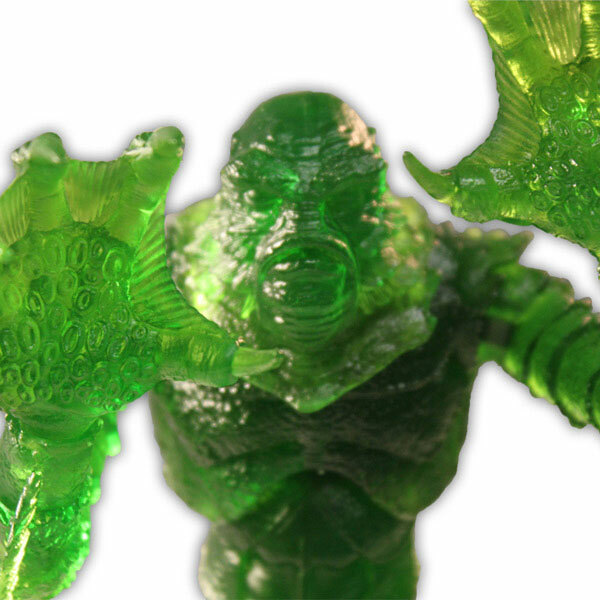 June 2013 - New York - As the world of fandom collectively counts down to the July 18th start of San Diego Comic-Con International 2013, Mezco adds fuel to the flames of excitement by revealing the details of one of their Summer Exclusives: The Creature From the Black Lagoon 9inch Glow-In-The-Dark Variant figure. June 2013 - Mezco's award-winning design team journeyed deep into the unexplored depths of the Amazon jungle searching for fossils...instead they discovered The Creature! 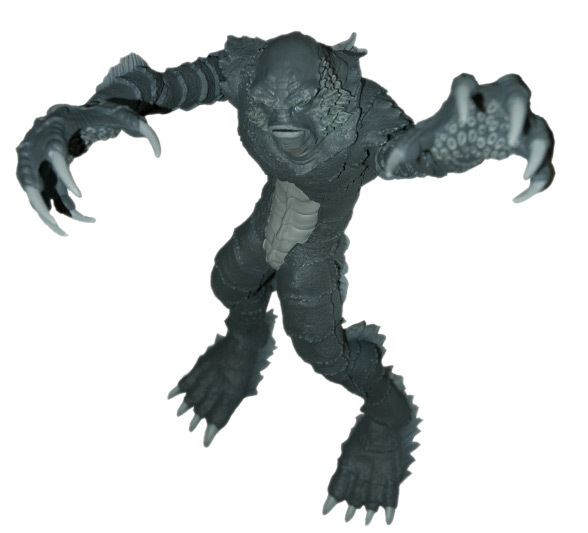 Mezco Toyz brings to life The Creature, from Universal's sci-fi, horror gem, The Creature From The Black Lagoon. In tribute to the classic film, this Creature variant features a "black and white" paint scheme that perfectly replicates the look of the infamous Creature in his cinematic masterpiece! This iconic scaled terror from the deep stands 9" tall and captures the intricate detail of the pre-historic gill-man; from his mysterious amphibious eyes, to his claw tipped webbed hands. With 11 points of articulation he'll be able to take out any scientist who dares to come between him and his true love. 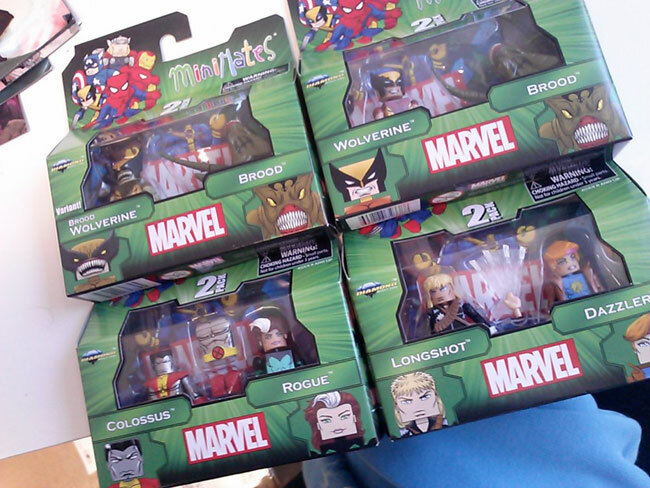 October 17, 2012 - It's New Toy Day at your local comic shop, which means you need to head down there and stake your claim on the latest action figures from Diamond Select Toys! 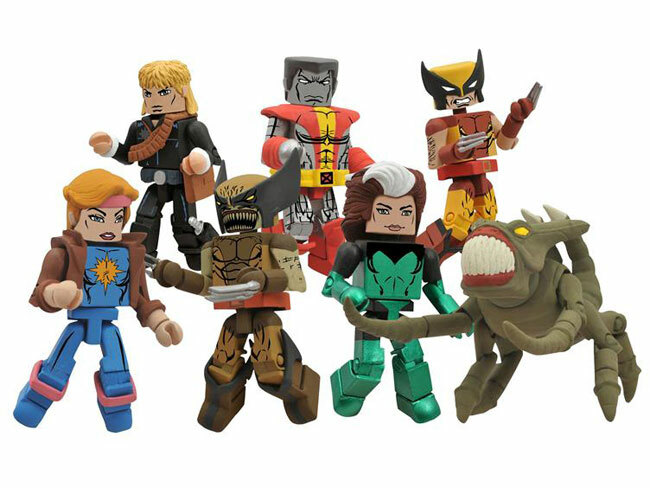 This week brings Minimates, 7" action figures and retro-style figures based on Marvel Comics, Universal Monsters and the Walking Dead! It's exciting and horrifying at the same time!